Thank God there is Alexandre Vauthier. Among the horrible dresses chosen for the red carpet of the Billboard Music Awards 2018- the awards dedicated to the musicians- the only good choices are those made by Dua Lipa and Hailey Baldwin, both with a French designer's dress, also chosen by several celebrity at Cannes Film Festival, silhouettes are similar, colors and material are different. For the rest, the clothes that have shown in Los Angeles on this red carpet are trivial (when they have chosen well) and horribly kitsch. Meno male che c'è Alexandre Vauthier. 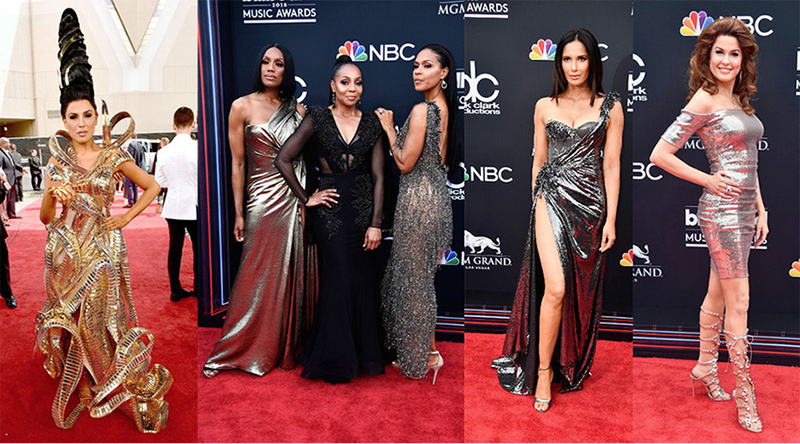 Tra gli orribili abiti scelti per il red carpet dei Billboard Music Awards 2018- i premi dedicati ai musicisti- le uniche scelte azzeccate sono quelle fatte da Dua Lipa e Hailey Baldwin, entrambe con un abito dello stilista francese, gettonassimo anche dalle dive che hanno sfilato a Cannes, linea simile colori e materiale diverso. Per il resto gli abiti che hanno sfilato a Los Angeles su questo red carpet sono scialbi (quando hanno scelto bene) fino ad arrivare alla fiera del kitsch. Hailey Baldwin is looking best among others. I only search for her online on my new twc internet connection :) she is love.